Venetian blinds can add a lot of functionality and privacy to your home. They help to control the light in the room and assist with general ventilation. It’s very easy to forget to clean your blinds. After all there are many areas of your home that need cleaning and some of these seem much more important. And really, not many people look forward to trying to navigate the bendable slats and manipulate the delicate strings. At Modern Blinds, we are the experts when it comes to making, installing and maintaining a range of blinds. We have a technique that makes cleaning your venetian blinds a quick and relatively painless process and we want to share it with you! The first thing you’ll want to do is place the sheet or towels under the blinds so that you can contain any mess or dirt that comes off them when you start cleaning. Next, get your cloth, duster or vacuum to remove any loose dust or dirt from the slats of the blinds. First turn the slats up and clean them, then turn them down and do the same. Once you’ve done this, you can wipe them down with a damp cloth. If your blinds are wooden, this is the final step. If they are metal or plastic, which is far more common, you’ll need to remove them from the window. This sounds more daunting than it is. Removing blinds from the window involves just a simple movement of unhooking them from their mount. Use your damp sponge on your blinds with cold soapy water. Warm or hot water will warp your slats, so make sure the water you use to clean them is cold. Ensure that you’ve thoroughly cleaned both sides of the blinds as well as the cords. Once you’ve finished cleaning and drying your blinds, the next step is to re-hang them up. 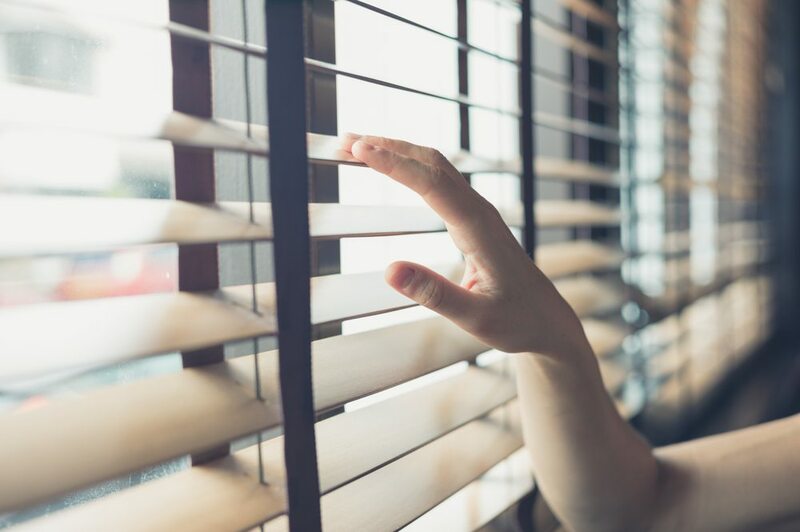 A light spray of anti-static furniture polish over the slats will help you make sure that dust doesn’t accumulate as easily on your freshly cleaned blinds. Interested in investing in some new blinds or shutters? Modern Blinds in Brisbane and the Gold Coast has the window solutions for you. Get in touch with us today for a free measurement and quote!